Maxey leaves the pieces of tortilla out to dry before frying them, which gives finished product’s texture an addictively chewy crunch. The chips are then bathed in a red chili sauce that softens the masa and marries all of the ingredients. 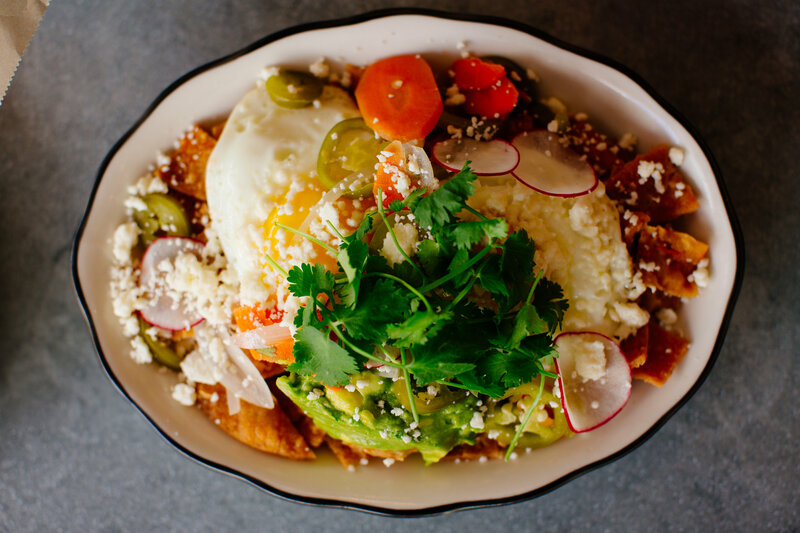 A generous heap of sauced chips is topped with two fried eggs, pickled jalapenos and carrots, crumbled queso fresco, sliced avocado, shaved radishes, and chopped cilantro. Whether it’s post-gym or hangover food you seek, this dish promises to satisfy the craving for those spicy, cheesy, fatty, crunchy, and acidic Mexican breakfast notes. The Chilaquiles are $12 and come with refried beans and fresh flour tortillas. 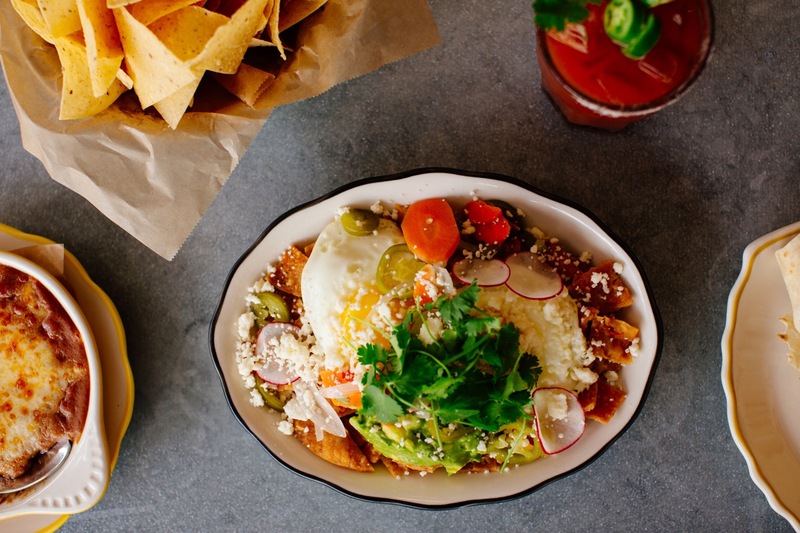 They are only served at brunch on Saturdays and Sundays from 9am-2pm at the Krog Street Market Location and 10am-3pm at the Buckhead location. Photograph by Mary Caroline Russell courtesy of Superica.